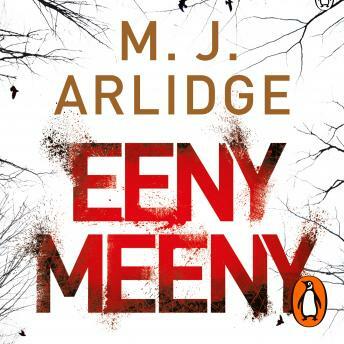 Eeny Meeny is the rocket-paced serial-killer thriller debut from M. J. Arlidge. Eeny Meeny was a Richard and Judy Book Club Summer 2014 pick. Days later, another desperate escapee is found - and a pattern is emerging. Pairs of victims are being abducted, imprisoned then faced with a terrible choice: kill or be killed. Detective Inspector Helen Grace has faced down her own demons on her rise to the top. As she leads the investigation to hunt down this unseen monster, she learns that it may be the survivors - living calling cards - who hold the key to the case. Introducing M. J. Arlidge's Detective Inspector Helen Grace, Eeny Meeny is an electrifying début, with the nerve-shredding intensity of Saw and Along Came a Spider. Fans of James Patterson and Mo Hayder should pay attention. Gripping throughout. Can’t wait to listen to the full series!